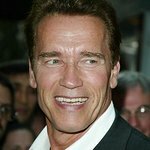 Arnold Schwarzenegger and After-School All-Stars need your help in reminding Washington of the positive power after-school programs have on American families. With the release of the President’s proposed budget, after-school has found itself in the unprecedented position of loosing all federal funding. For nearly 25 years Arnold has advocated for after-school education and supported after-school programs across the country because he knows how programs help kids succeed in school and in life. Arnold’s deep-rooted connection to after-school made it impossible for him to not speak up by inviting the President to visit after-school programs and see the impact first-hand. After-School All-Stars has teamed up with attn: to produce this powerful reminder of everything after-school does to help kids succeed in school and life. To find out how you can support Arnold in protecting after-school programs, click here.